If I Have Only a Minor Injury, Should I See a Lawyer? | Phoenix Personal Injury Law Blog - Breyer Law Offices, P.C. blog home Personal Injury What Personal Injury Is “Serious” Enough for a Lawyer? What Personal Injury Is “Serious” Enough for a Lawyer? 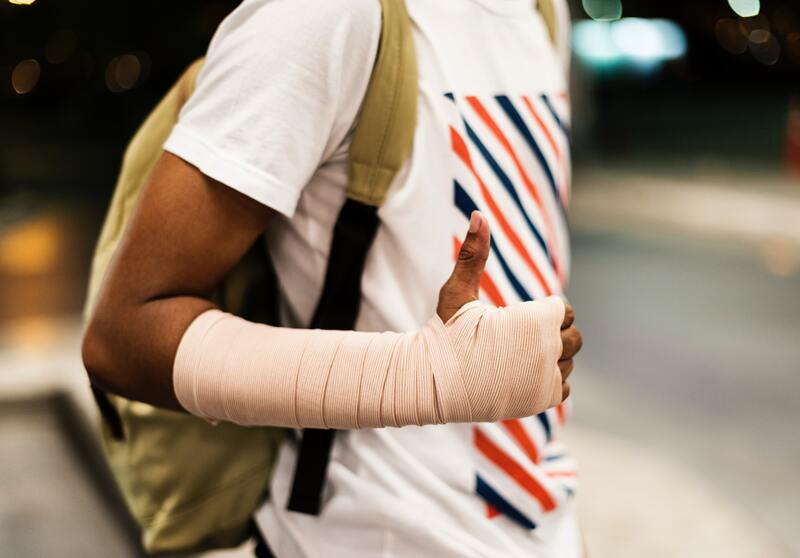 Personal injuries, no matter how minor or how serious, can result in medical bills, rehabilitation costs, lost wages, emotional trauma, property damage, and more. They can greatly affect a person’s finances, and physical and emotional well-being. Some injuries are visible, such as scars, burns, and disfiguration. Others are less visible, including sprains, broken bones, back pain, joint pain, concussions, and head injuries. But whether or not you can see an injury, the victim still suffers from pain and stress. Many personal injury victims wonder if their injuries are serious enough to warrant a claim. It’s important to understand that even minor injuries could qualify for a settlement if someone else was responsible. It shouldn’t be your responsibility to pay for your medical expenses alone when someone else caused your injury. Since the initial consultation with The Husband and Wife Law Team at Breyer Law Offices, P.C., is free, it’s wise to reach out to them to see if your injury qualifies for a personal injury claim. They have decades of experience assessing medical reports and accident reports to determine whether victims could get a settlement. Get medical help even if you think your injury is minor. Many injuries, such as back pain, strains, concussions, and heat injuries, may present symptoms hours or even days after the accident. A medical professional can treat the injury and help prevent greater pain in some cases. Getting medical assistance also means you’ll get a medical report. This is helpful if you do file a claim. Having the report means a professional has recorded the facts related to your injury and your symptoms. This is just as important as getting a police report for the accident. When the facts are on paper, your case will be easier to present to the other side. Whether your injury is minor or major, make sure to take care of yourself in the days and weeks following the accident. Even minor injuries can become something worse if they are not properly treated. After seeing a doctor, follow her recommendations to begin the healing process. If you file a claim with the help of The Husband and Wife Law Team, it’s important to keep anything related to your case off social media. Remember—the insurance company for the people at fault will likely be watching your social media accounts to make sure you weren’t faking. Anything they find that is posted publicly can be used against you. Mark and Alexis Breyer have decades of experience representing accident victims, and they will know how to help you. If you have questions about your accident, your injuries, how to conduct yourself after the accident, or anything else, make sure to ask. They have a team ready to help you and get you a settlement, and they also are ready to answer your questions. The majority of the accident victims Breyer Law Offices, P.C., works with have never filed a personal injury claim, so they have the same questions you do. Don’t Forget Your College Students! If You Lose Your Case, Do You Lose Money?